One mattress offers general comfort while the other is a relative newcomer known for their taste and quality, meet Casper and Brooklyn Bedding. For this comparison, let’s check out how these two online mattress companies compare with each other. 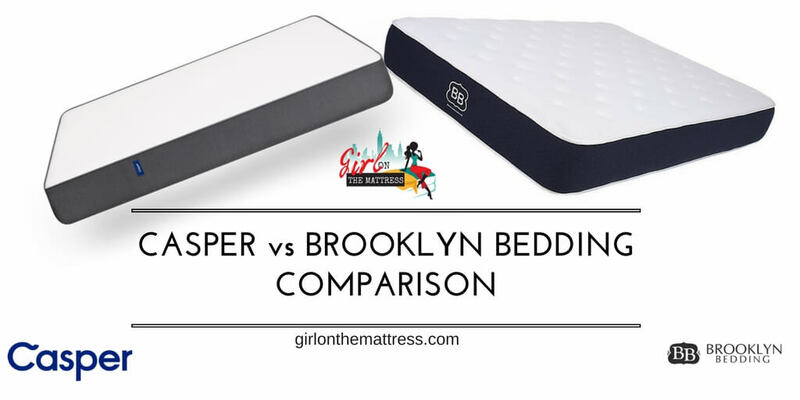 If you’d like to read my full detailed mattress reviews, here’s Casper, and this one is for the Brooklyn Bedding mattress. Casper cover: two-tone shade with the top in white while the sides in grey. The top material is thin and porous which is great for breathability but also snags easily. The side fabrics can handle rough handling. Brooklyn Bedding: Quilted comfort top with pillow-like design; two-tone design with logo running on the sides. Modern look and feel. It feels very sturdy. Casper 9,5-inches total, uses 4 layers: top layer is 1.5-inch poly foam creating a cool surface. 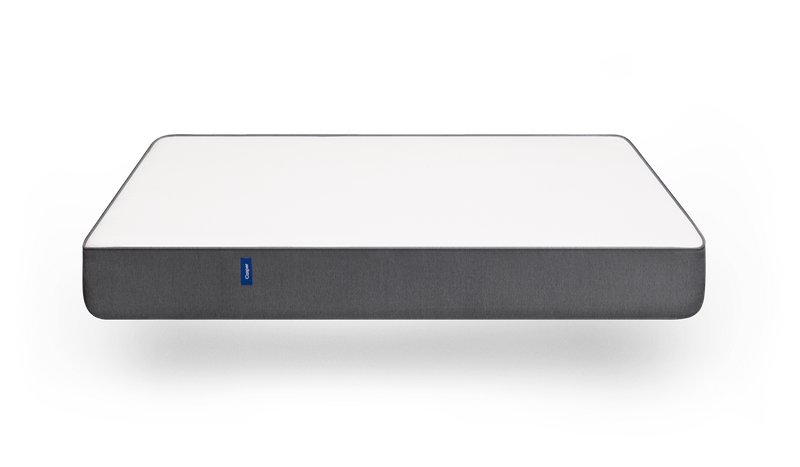 Second layer is 1.5-inch memory foam with support and pressure relief. Third layer is the 1.5-inch support foam and the last bottom is 5-inch foam support and base layer. Brooklyn Bedding 10 inches total is made up of three layers: The top layer is 2 inch of Talalay latex designed for comfort and cooling. Second layer is 2 inch of Dunlap latex; third layer is 6 inch of poly foam for foundation base. The Casper firmness: The mattress provides neutral firmness – not too soft, not too firm. Brooklyn Bedding: Available in three firmness options: soft, medium and firm. Pick one that suits your preference and need. Sinkage for the Casper isn’t as pronounced when weight is distributed evenly across the mattress. Lying down on the Casper gives you more hug as the foam almost instantly moves according to your pressure points, giving your body support. Brooklyn Bedding body support: Excellent body support and offers good contour and hug without sinking feeling for the sleeper. Casper motion transfer: Casper offers less bounce and very minor motion transfer. Brooklyn Bedding motion transfer: Good bounce with minimal motion transfer. 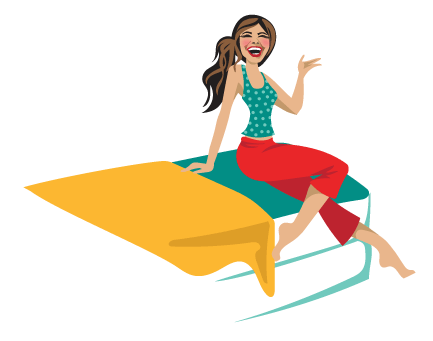 $50 off with code GIRL50. Casper trial period: Offers 100-day trial period like the Brooklyn Bedding. This risk free trial lets you return the product within 100 days in case you’re not happy. Brooklyn Bedding trial period: 120 nights trial period offered, if you’re not happy with the mattress, you can return for full refund. Casper warranty: Same with BB, you get a 10-year warranty with the product. Brooklyn Bedding warranty: Offers 10-year warranty period. Casper shipping: Free shipping is offered for those in the United States. Casper returns: Casper picks it up and arranges for it to be donated to charity or forwarded to a recycling partner. Full refund within 100 days of the trial period. Both the Casper and Brooklyn Bedding each feature plenty of advantages for various sleepers. The Casper is great if you want a mattress that’s essentially an “all around” mattress. It’s got good comfort, proper support and just enough bounce. Plus, the price is pretty good too. For the Brooklyn Bedding, it’s highly recommended for anyone who is after a great bounce, short of purchasing a spring mattress. There’s also equal balance between contour and hug that makes the mattress a pleasure to sleep on.